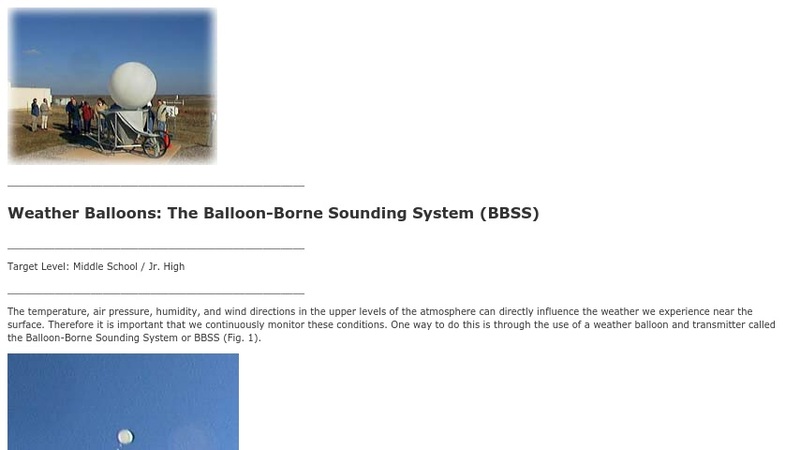 This middle school/junior high school activity has students relate surface weather to data generated from balloon-borne instruments in the United States. They generate a Skew-T diagram for various American cities and have the opportunity to build a cloud using a java applet to explore the relationship between dry air temperature and dew point. This exercise is part of the Atmospheric Visualization Collection (AVC), which focuses on data from the Atmospheric Radiation Measurement (ARM) program.